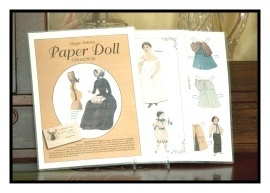 A reproduced copy of the exact paper dolls Maggie Wylie Mellette cut out, colored and played with as a child. Tells the story of the Mellettes. 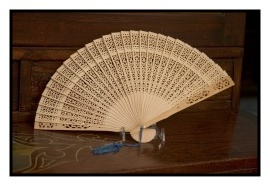 Included are many photographs of the House and the family from our collection. 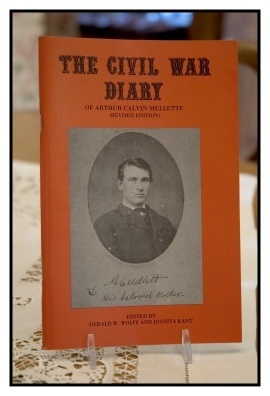 Reprint of the diary Arthur kept while a soldier in the Civil War. It also includes historical information as well as a number of photos. 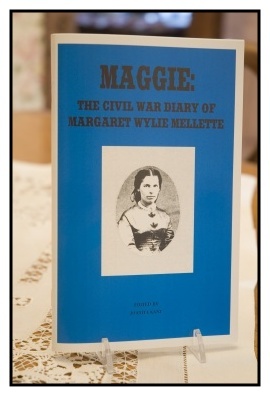 Reprint of the diary Maggie kept primarily during the period when Arthur was in the Army. It is a poignant look at a young woman’s life during this incredible time. 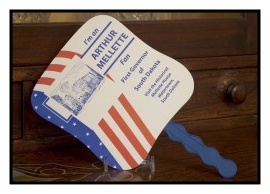 This book recounts the life of Aurthor Calvin Mellette, and his family. 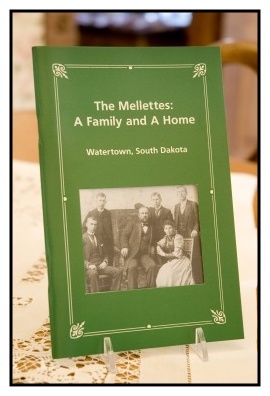 All sales benefit the operation and continuing restoration of the Mellette House.